Among these intersection curves between a sphere and cylinders of varying radius the classical Viviani curve is obtained if the cylinder has half the radius of the sphere. 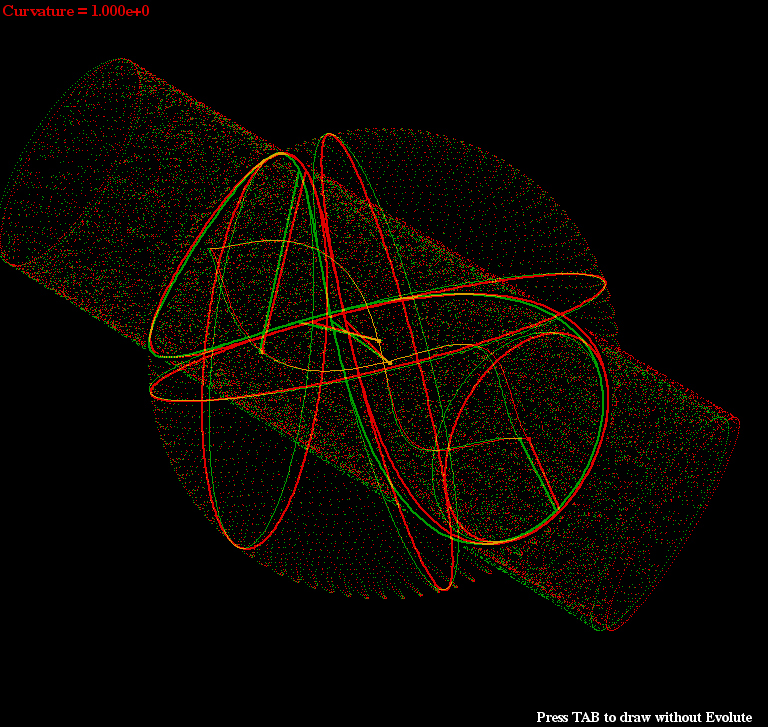 The sphere and the cylinders always touch each other on the z-axis. This tangential intersection causes a double point of the intersection set. 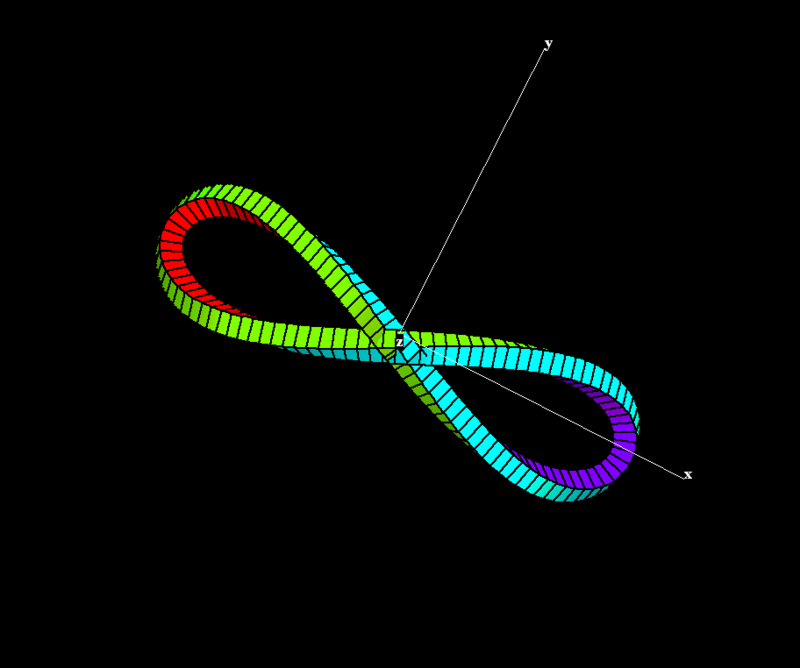 The two tangents at the double point are orthogonal to each other for the Viviani curve. 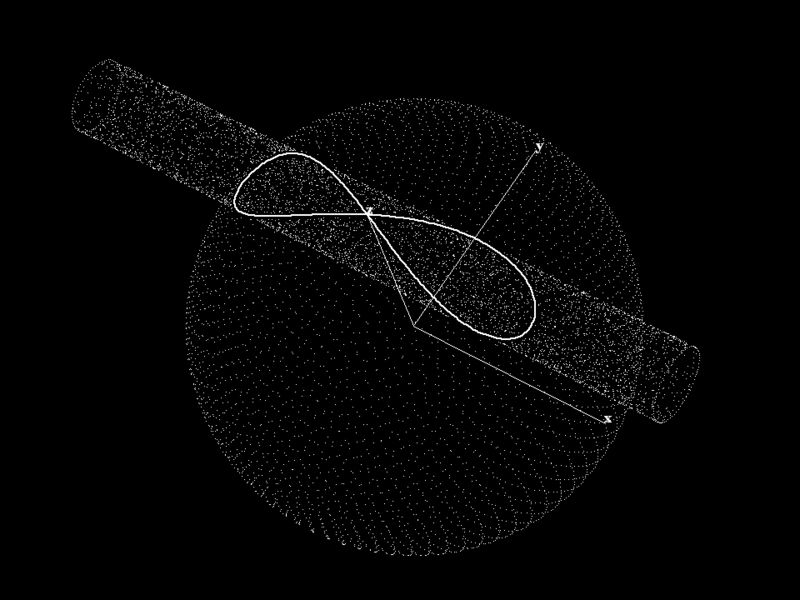 The intersection curves of sphere and cylinders rendered as (Frenet) tubes. The Viviani curve with four osculating (=best approximating) circles. The anaglyph view allows to see that these circles lie on the sphere.